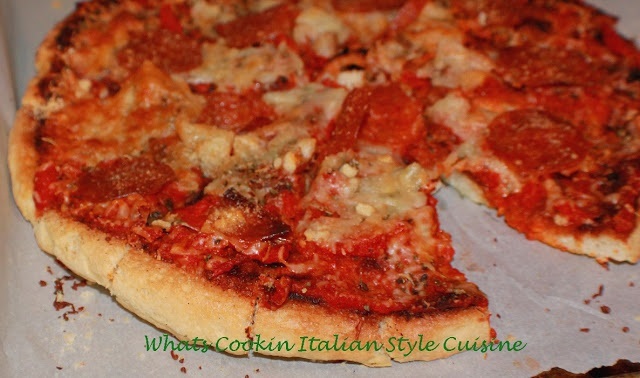 Pizza is my favorite and a thick Sicilian Pizza style it the best! 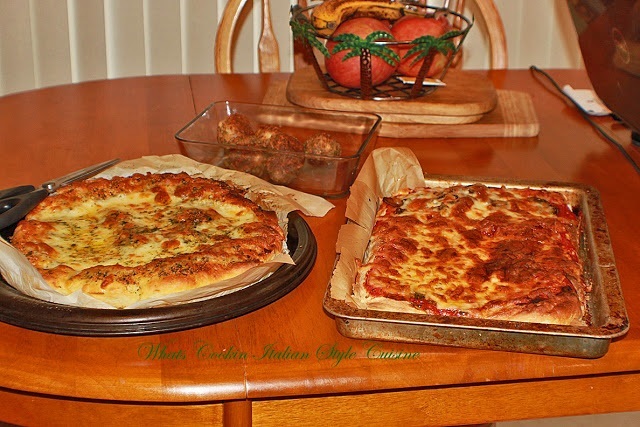 A traditional go to family recipe we usually make every Sunday night which is family night. Every week my sons and their family come over to watch a variety of tv series we watch until almost midnight, one favorite being "The Walking Dead," a current popular series. 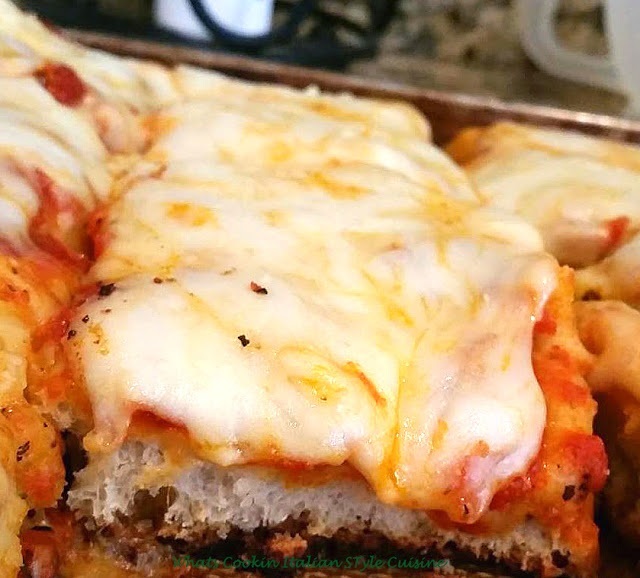 This pizza we had this week was a very thick Sicilian Style pizza, the cheese may be on top or under the crust depending on how you like it. Neapolitan-Style New York Style Pizza is a thinner crust. I didn't have to cook this in a very deep pan the cookie sheet I used was at least 1 1/2 inches deep. It's loaded with cheese. Deep dish pizza more Chicago style usually is filled with lots of Italian meats and surrounded by crust also thick and very good see link above for a grilled version. Regions that make many Traditional style pizza pies. 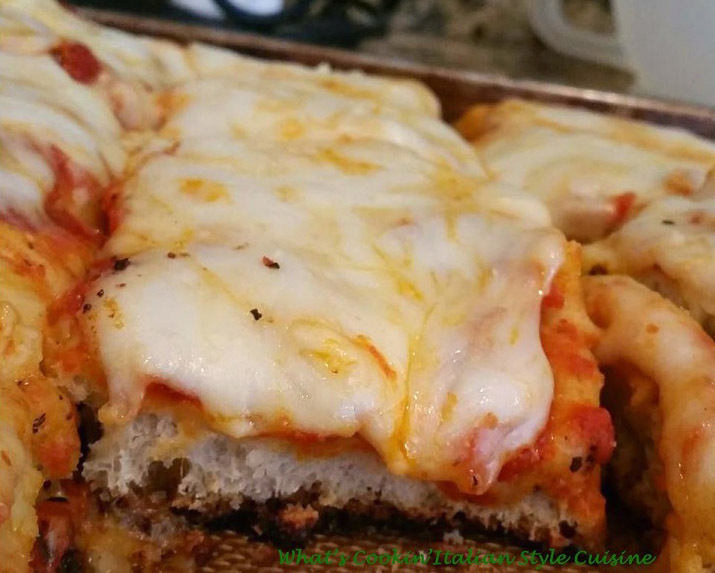 French bread pizza is popular these days, in mine day we used English muffins and called it poor mans pizza, easy to make and quick using leftover Traditional Italian Sunday Sauce. Of course then there are Margarita Pizza which is fresh basil and fresh sliced of tomatoes, then White pizza with garlic and oil another delicious combination of flavors. No matter what part of the world your in there is some kind of universal love for the pizza pie. We love thin or thick crust as long as it's pizza and is loaded with lots of whole milk mozzarella. Here are a few ideas below to get started on making your traditions in your homes. 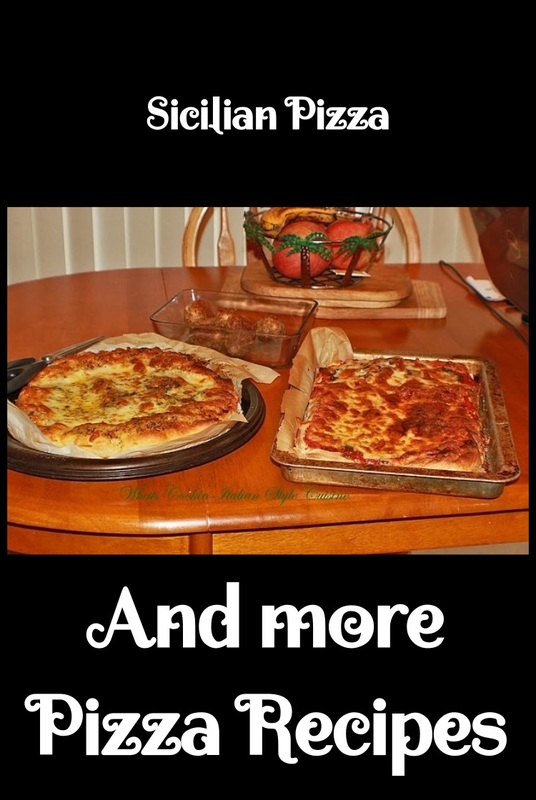 Well there are lots more choices and topping you can choose to add to any of the above recipes enjoy your pizza journey have some fun and a delicious party! SO many fabulous pizza options! I need to start at the top and work my way through!! !